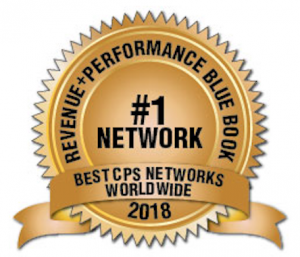 Congratulations to our number 1 ranked networks for 2018! The BLUE BOOK results are in. 20,000+ industry professionals that participated in our survey, 150,000 data points analyzed and months of research have finally resulted in the new 2018 rankings. These were perhaps the closest fought rankings we have yet seen, a sign of the increasing levels of professionalism, technical innovation and service that we are seeing across the industry. Performance marketing is at an inflection point in terms of opportunity. The Blue Book exists to help drive growth by promoting the best of the best. We give you the top cost-per-sale and cost-per-acquisition networks in the world, as chosen by the advertisers and publishers of the international performance marketing community. Clickbooth wins for the second year in succession. In an intensely competitive category, Clickbooth stands out for their innovative optimization and campaign management tools. They receive rave reviews from publishers and advertisers alike. MaxBounty has maintained their strong challenge for the #1 spot, with enthusiasm shown by voters for their service levels and quality of traffic, losing out only a little on technology innovation. All the leading networks show continuing increases in professionalism and service levels as new investment monies allow newly aggressive growth strategies. 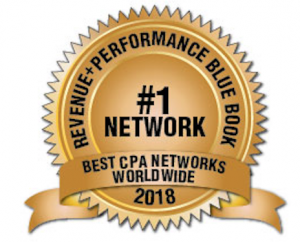 In truth, it’s an extremely tight contest between the best CPA networks, and we are beginning to see a real gap between those networks in the Top 20 and those outside it. Professionalism and technology counts for a great deal, and all the networks in the Top 20 are worthy partners for any publisher or advertiser. The #1 ranked network is Rakuten Affiliate Network once again, for the 7th year in succession. Some might say that such consistency is boring – we say that in such a competitive industry it is amazing. Rakuten win by rating highly across the board: service levels, quality of advertisers, technology, trustworthiness, etc. They show no sign of resting on their laurels. Awin Group in the #2 position this year are working hard to build upon last year’s acquisition of ShareASale, while CJ Affiliate By Conversant have reasserted themselves with a jump of three places to the #3 spot. FlexOffers, Impact Radius and PepperJam all also made big moves this year – a sign of the potential for growth inherent in the performance marketing industry right now.